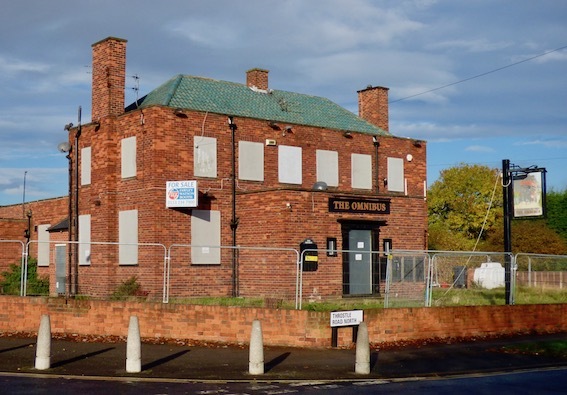 Middleton residents met with Councillors last week to discuss their concerns about the redevelopment of the Omnibus public house on Throstle Road North. A planning application to convert the building into a house in multiple occupation (HMO) has been submitted by the new owners, PCC Construction (Yorkshire) Ltd. The plans include 16 bedsits with shared kitchens and bathrooms and outline plans for a second block in the rear car park. The site is adjacent to Sharp Lane Primary School and Headteacher Mandi Wilson has submitted an objection to the planning application raising concerns about possible tenants and the lack of parking for the school – parents used to use the pub car park at the start and end of the school day. Councillors told the meeting that contrary to rumours the building was not to be a bail hostel. They explained that objections to the planning application had to be made on planning grounds, not on who might or might not occupy the bedsits. South Leeds Life understands that the target group is older single men and that the developers have carried out a similar pub conversion in Castleford. Further concerns were raised when building rubbish from the pub was piled up in the car park. 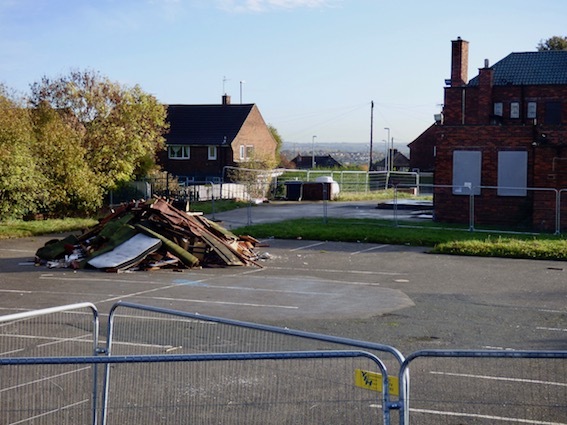 The rubbish was burned on Saturday 5 November with residents claiming on Facebook that staff from the company were on site at the time. Builders are prevented from burning rubbish on site by environmental and health & safety legislation. “This application is totally unacceptable and we share local people’s concerns and fears about it. As Councillors, we will do all we can to support local objections on planning grounds. We have asked Council officers to provide information about planning policies relating to HMOs, the regulations governing them, and the planning grounds on which they can be rejected. “Unfortunately, the planning process laid down by Government doesn’t always involve what most people would regard as common sense or community interest. The Council can only take into account what the Government says it can. We understand these considerations include the over intensity of the proposed occupation, the inadequate space and facilities provided for tenants, and concerns about parking and traffic. 132 residents have objected to the planning application. The deadline for comments has closed, but you can view details of the application via the Council’s Planning Portal: go to: https://publicaccess.leeds.gov.uk/online-applications/ and enter the reference 16/05878/FU in the search box. The application is expected to go to the South & West Plans Panel for decision. Why can’t the omnibus stay a pub there’s none left in belle isle, give the pub a good make over and the joe public would welcome this with open arms.